ePublishing Knowledge BaseePublishing Knowledge BaseePublishing Knowledge Base EditorialHow do I set the order of articles and other content associated with a specific taxonomy association using the Site Placement Manager? The newest item tagged with a site placement taxonomy is automatically added to the bottom of the list on your website. 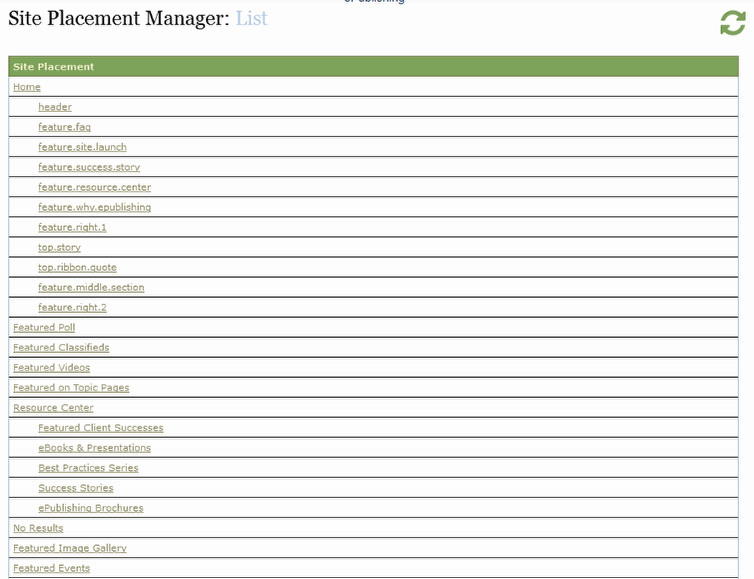 Use the Site Placement Manager to control the sorting order. The Site Placement Manager lets you organize content previously tagged under Site Placement when editing your articles, media and other content. Zoom: The Site Placement Manager lets you organize content previously tagged under Site Placement when editing your articles, media and other content. 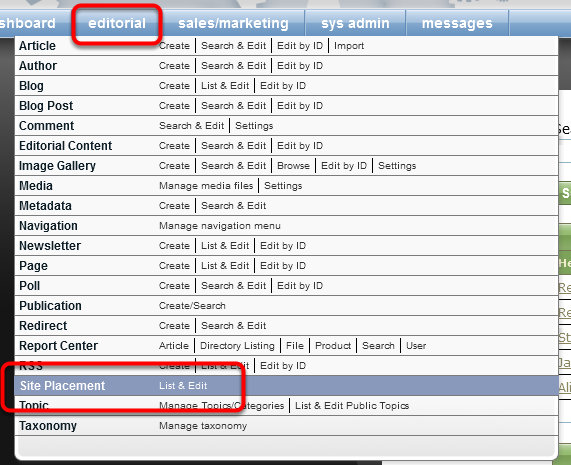 To sort the content, open the Site Placement Manager, which can be found under the Editorial menu in your dashboard. After clicking List & Edit, the Site Placement Manager will open. Click on the taxonomy association to open and organize content associated with that taxonomy. 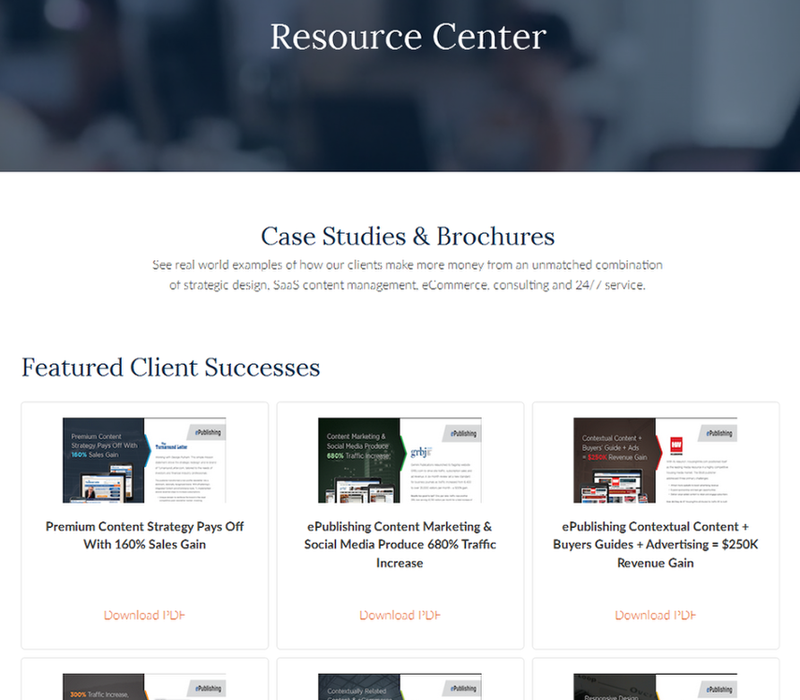 Here's the content associated with that taxonomy, as shown on the website under Featured Client Successes. The Site Placement Manager allows you to change the order of the items below. 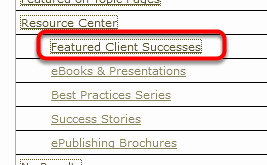 Zoom: Here's the content associated with that taxonomy, as shown on the website under Featured Client Successes. Move the placement of an item by clicking on the icon to the left and dragging it to your preferred location. Zoom: Move the placement of an item by clicking on the icon to the left and dragging it to your preferred location. To disassociate a piece of content with a taxonomy, click the checkbox next to "Disassociate." The content will no longer appear under this category on your website. Some content categories allow you to deactivate, or unpublish, content from this tool. Click the checkbox next to the "Deactivate" to unpublish it. If it's already been deactivated and you want to republish it, click the checkbox next to "Activate," which will appear in place of "Deactivate" as shown in the second entry below. Zoom: Some content categories allow you to deactivate, or unpublish, content from this tool. Prev: How do I create a new edition or issue of a publication? Next: How do I set the size of an infographic on my website for optimal readability?